Home > Our School > News > General > Luke 4:18 – Shoebox Project is a Huge Success…Thank you! 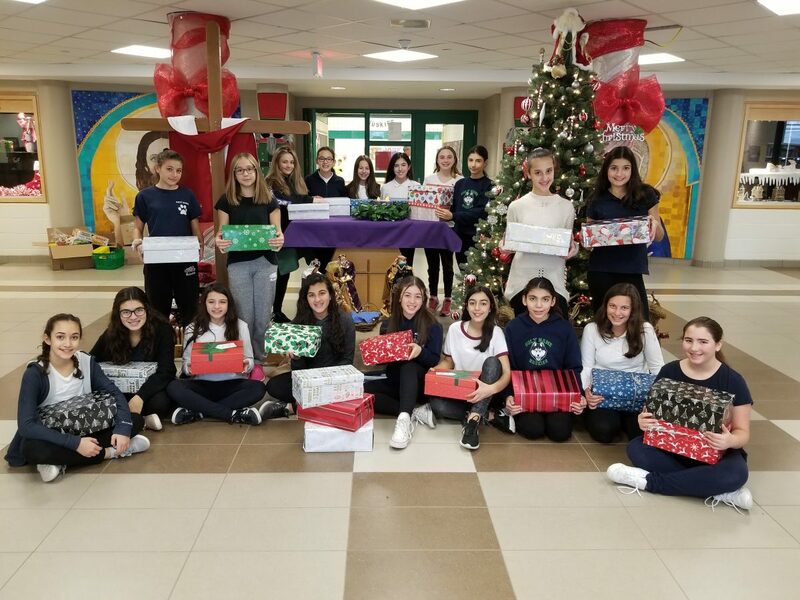 Luke 4:18 – Shoebox Project is a Huge Success…Thank you! Luke 4:18 has been busy this Advent Season sorting and packing boxes for The Shoebox Project. We were able to pack 24 shoe boxes valued at $50 each! Thank you for your very generous donations that are helping women in need. What better way to celebrate our Faith than with giving back to others. We wish you a blessed Christmas holiday and all the best in the New Year! Previous Story Previous post: All invited to Holy Name Advent Mass!